i think we should start a thread for all the 4ws 1st genners. bleh, i love this thing. Pic: Will put up tomorrow. 1989 GD1021 MX6 4WS, 5 spd. 4WS still working. Replaced the pushrod in the rear rack about 7 years ago. Mods are below in my sig. 89 MX6. 4WS. FE DOHC Turbo. Garrett GT3071r Turbo. Wiesco Forgies. B18 Honda Comp Cams Springs. EMS 8860 ECU. 3 Inch Exhaust. Torsen Diff. 2500lb RX7 Clutch. 18 inch Rays Sebring ITC-S wheels. Cusco Camber Plates and Coilovers. Bosch 044 Pump. 750cc Injectors. F2T with adjustable camgear and sharp cam. Is getting a full TWR bodykit except the wing. Where did you get those sideskirts from? I like them a lot. No, doesnt currently work. Rear push rod (as called above?) seems to be broken. If I plug in the control box she "crabs." A good amount of mods. Ooh. Where'd you get those rear clear markers from? Or did you custom make them? I made them from clear reflectors. The fronts and rears dont light up. They just look good. Theres more than one pushrod? I thought there was just one main one in the rear box? In the front, but not in the back. On the last 88 I parted out, I pulled the back reflectors, and it had the provision there, you just needed to tap the plastic indentation and put in a socket/bulb/wiring. I dont want them to light up.... Its more work. Ill need to get spare OEM reflectors, take them apart, them silicone them to the clear reflectors. Too much work for the look I already have. And actually, Ive been telling myself to back to the OEM's anyway. 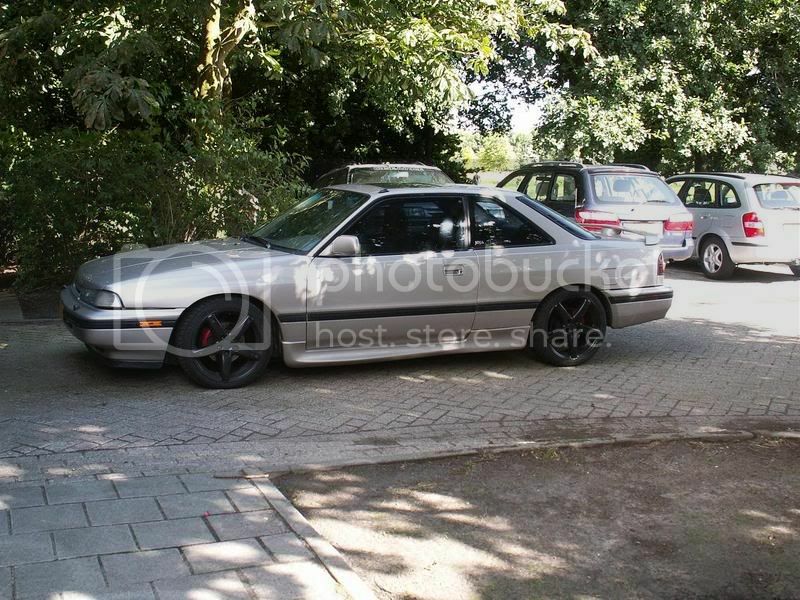 Hi guys, new here, but got an 89 MX-6 5 Speed 316,000km's 4WS works like a dream. Still goes hard will pull 220km/h with two in the car. It's all original except for the 2.5" cat back to small cannon type muffler. Even got the original Clarion tape deck/digital tuner with graphic equaliser in double stack. Factory sunroof and aircon and cruise control. it's the blue colour like the other guys on here. Everything on the car works fine, just had to pull the starter motor out and get the clutch rebuilt (starter) and thank god i found the info here in the forums! What a crap place to put a starter!. I love the car it holds the road so well, am thinking of putting it in a hill-climb in november. I am in Australia. 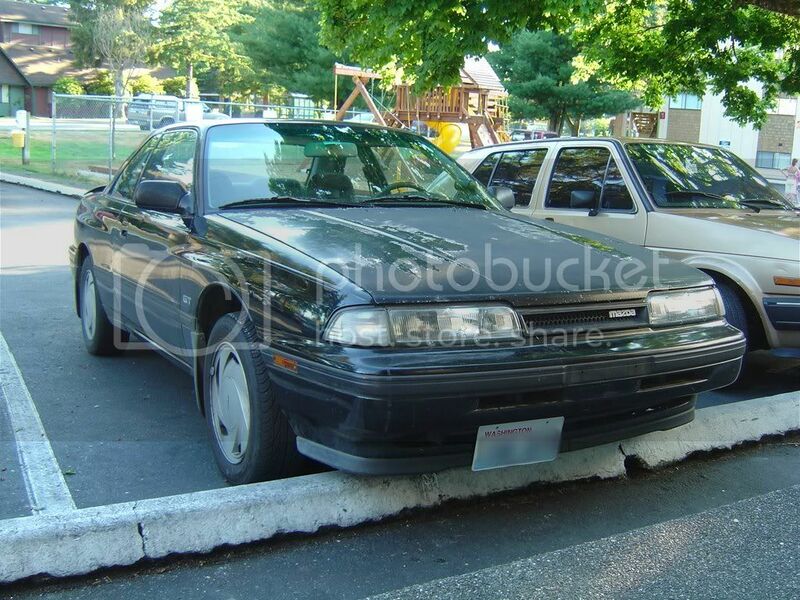 I think the car was $34,000 brand new in 1989 thats huge in todays dollars. Will try to get a pic up soon, poor thing suffers from mazdas poor clear finish technology of the day!